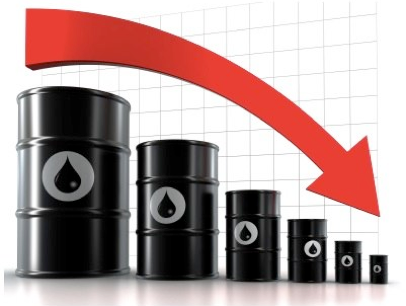 Home / Articles & Videos / What Does The 40% Collapse In Oil Prices Mean For Investors? There is no more “cheap” oil to be found. It is true that some OPEC producers have additional barrels that they could bring on at a relatively low cost but it is generally acknowledged that the marginal cost of new production is in the $80-per-barrel area. Over time, the price of a product must converge with the cost of production. That is not controversial. What we don’t know is exactly what time period we are looking at. Historically, oil price declines that weren’t associated with recessions have been rather short-term affairs because demand growth continues while a supply response from higher-cost producers can happen pretty quickly. The global oil market is not greatly oversupplied at probably less than 2 million barrels a day. OPEC had been overproducing its quota by nearly 1 million barrels a day. If one wants to find a glimmer of hope (for oil prices) in OPEC’s statement, keeping the current quotas implies a cut in current production. Unfortunately, there was no mention of more vigorous enforcement. What If There’s A Recession in 2014?